I have a hypothesis that proponents of woo receive some sort of emotional gratification in choosing to go against science and reason. They convince themselves that they’re the only smart people in the world because they have the secret knowledge that the “establishment” wants to hide from humanity. I feel like this could explain the new flat earth movement. They get to pat themselves on the back for being so much smarter. I think the science behind woo leans more toward an established and well known bias toward perceived risky non action vs perceived risky action. I.e. people tend to feel less bad about causing harm by not acting vs. causing harm by taking action, regardless of how high the risk actually is. People are really bad at assessing risk. Except when it comes to Oxy and antibiotics - some “patients” won’t leave WITHOUT a prescription. They lose me at the part where they think drug companies have to keep people sick in order to sell them drugs and other products. That entire business model doesn’t work. Why keep people sick and then try to sell things to sick people? Sick people don’t work and they don’t earn as much money. Make them well and then sell them things. Learned something new at the harvest festival last week. Is there a watchdog group I can report them to for giving unsubstantiated claims? My guess? Probably not. 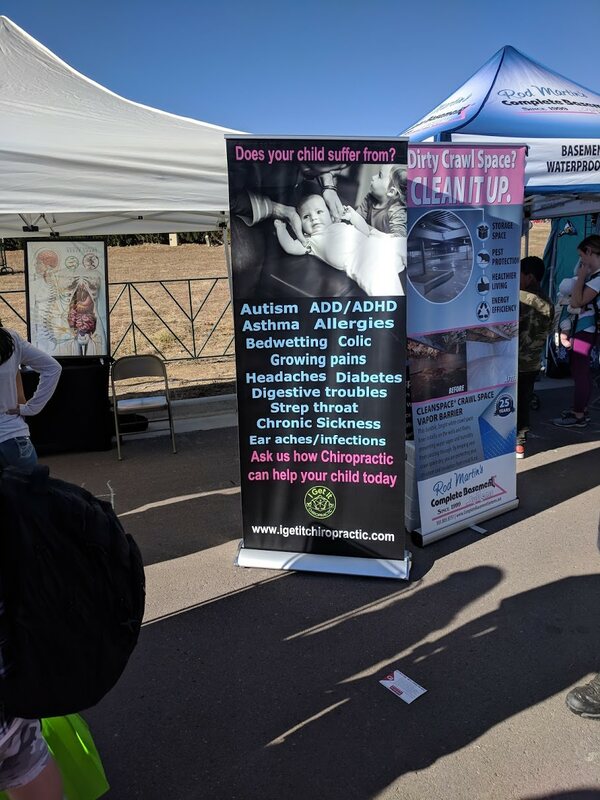 They didn't say they can cure, help...And if this is illegal then I have 40 groups from facebook saying oils cured their kid of Autism and other impossible things. A giant cutout of “Lying” cat? But the (more dominant) Lawful Good wouldn’t let me damage someone else’s property. They didn't even technically say they could help with those conditions. they just listed them and then made an arguably unrelated statement. Chaotic Good folks would be against vandalism as well. Chaotic Neutral would give zero effs about it. Chaotic Evil would be all in. In my earlier years I was Lawful Good. But I’m staunchly Chaotic Good now. I’ll be Chaotic Good from now til the end. I'm staunchly Not Defining Something As Complex And Multivariant As My Own Morality Using A Simple Two Variable System With Only Nine Valid Options That Is Sourced From A Child's Game For Crying Out Loud. That said, that sign is asking for a Sharpie at least, if not a full on parading around in front of it yelling about snake oil. My inner vandal wants to go around town with a paint pen putting quotes around all the bogus claims. The reflexologist "heals energy" and "gets rid of toxins"
The chiropractor "releases negative energy"
The psychic tells your your "fortune"
Seattle is kinda ridiculous with the amount they let businesses get away with. Chaotic Good would douse it in lighter fluid and set it on fire. If I have learned anything from Sawbones, it's that "cure-all's cure nothing." Not to be simplistic about real morality, but Chaotic Good isn't merely ambivalent about law and authority. It is ANTI-law and ANTI-authority. If you were merely ambivalent about authority, you'd be Neutral Good, not Chaotic Good. If you said setting the thing on fire would be bad because it would be against the law, you'd just be giving even more incentive for a Chaotic Good person to go ahead and do it. Make the world a better place and stick it to The Man at the same time! That's perfect! Not sure there's much to debate. "Highly ethically dubious" is about the long and short of it, no? Just wanted to make sure I am not on the side of the baddies. I'm on the side of this kind of thing being inevitable regardless of the ethics (or lack thereof). "ethical nihilism" is a thing, right? Yeah but once we start breaking the rules this is going to go downhill fast and of course the whole debate is you're literally playing with people's lives with no concrete data to say. Gives me a real gross feeling (what we both agree is probably going to happen) but I am afraid you're right(you're not gross...at least as far as I know). This is the science equivalent of using a jackhammer to try to separate egg whites and yolks. This is also the science equivalent of old doctors grave robbing so they could study human anatomy. As Jonman said, this was inevitable, and I am honestly not surprised it happened. I expected it to happen in China, no less. Huge country with lax regulation, and pushing hard at the boundaries of the possible. Definitely ethically dubious, and what he did was dangerous and we won't know how dangerous for years as those children grow up. However the line i keep hearing about "polluting the human gene pool" is religious pseudo-scientific garbage. I think the analogy to early anatomists doing their illegal studies of the human body is a apt one. While the criticism that he skipped the early trials for new techniques is a really valid one, it is frustrating to see that a lot of the people voicing that criticism the loudest are the same people who have been fighting tooth and nail to keep those early trials from happening too. What I read (and we need to be careful of journalists talking about science) is there is the possibility that what he did could be passed down genetically through the offspring of at least one of the twins. In which case, while the phrase is ridonculous, there is the real danger of this spreading and causing unknown and unexpected side effects a couple of generations down. Let’s assume that this worked, and now there’s a baby out there that’s immune to HIV and whose children will also be immune to HIV. Where tf do we go from here? I mean insofar as dystopian futures go, gattacca isn’t the worst, but yeesh I literally can’t imagine all the ways this will affect our species. Edit - this actually goes even further than gattaca did. This isn’t babies that represent the absolute best their parents could give genetically. It represents better than any human could naturally give genetically. It's not contageous. It's not going to spread any more than any de novo birth defect or neutral (or even positive) genetic change might spread to descendants. The phrase is ridiculous, but concept is ridiculous too and much more wrapped up in concepts of purity than it is in any knowledge of genetics. It's worth noting my sister has a de novo genetic condition, so it's pushing on something pretty personal to suggest that her and people like her are "polluting the human gene pool" by having children. I may be less than completely objective on this point. Um actually My understand is the gene they added with CRISPR is a naturally occurring human gene allele from a human source, so it's not adding anything NEW to the gene pool. The concern is the CRISPR technique damaging off target portions of the child's genome. Oh oops. I misunderstood what CRISPR does. Thank you thrawn! Oh for sure. I’m only aware of CRISPR through the bio hacker community, and even then my readings are a bit out of date. Last I heard some bozo tried to make himself glow by CRISPRing some algae dna into himself. I can’t shake the feeling that we invented gene editing about a century before we were ready to deal with the consequences. Like giving nukes to people in the 40s.